* Applications being accepted for Station 1 and Station Volunteer Firefighters. Inquire with Chief Sayre. The Mancelona Fire District consists of two stations. 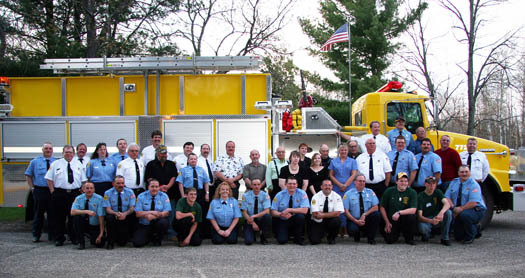 For more about the Fire District and its involvement in the community, please visit the "About Fire District" page. When reporting a fire or emergency, always use 911. Using 911 assists Dispatch to locate your home much faster.